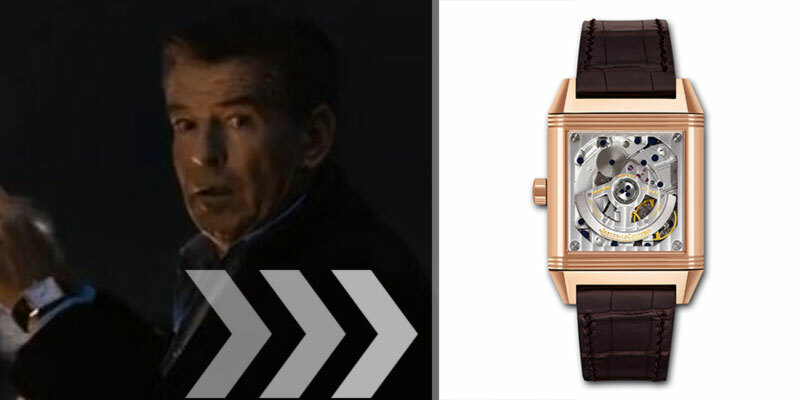 After a day of research, I finally tracked down the watches worn by Pierce Brosnan in one of his latest movies, A Long Way Down: Jaeger LeCoultre and Ponerai are the two brands of his two watches he’s seen wearing! 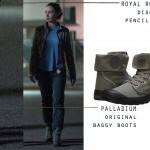 I recently discovered that I’m not the only one who enjoys movies not just for the cinematic thrills of the story and the enthralling beauty of the directorial perspective but also because I like tracking down and identifying bits and pieces of the character’s wardrobe. 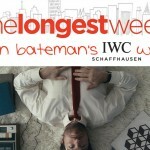 Every week, I’ll do my best to serve you yet another Film Fashion episode and today it’s about ‘A Long Way Down’ and Pierce Brosnan! The name is enough to talk about what kind of character Martin Sharp should be: someone who can afford wearing a 5-figure timepiece. The watch itself is very beautiful and subtle, with an alligator leather strap and automatic movement. There’s an additional hour hand in a second square dial which may be set to show a second time. The dial and the hands are treated with a special superluminova enhancement which makes them visible in the dark. But the true wonder of the Jaeger LeCoultre Reverso watches is the see-through back, enabling a clear view of the mechanism powering the Reverso. 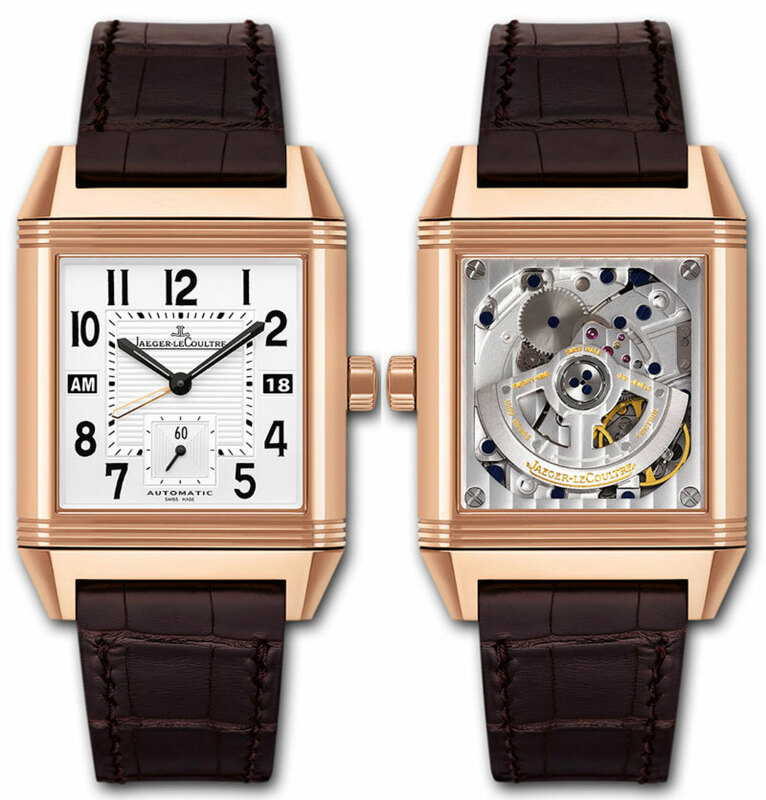 See also: Jaeger LeCoultre issued a special Reverso edition for the Mad Men TV series! Did you know that this feature was introduced so that the watch dial surface won’t be scratched during sport games? 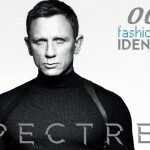 The wearer can turn the watch, thus protecting it, but still wearing it. Pretty smart, isn’t it? 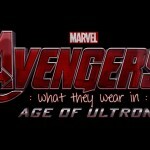 See also: What watch was Jason Statham wearing in the movie Parker! 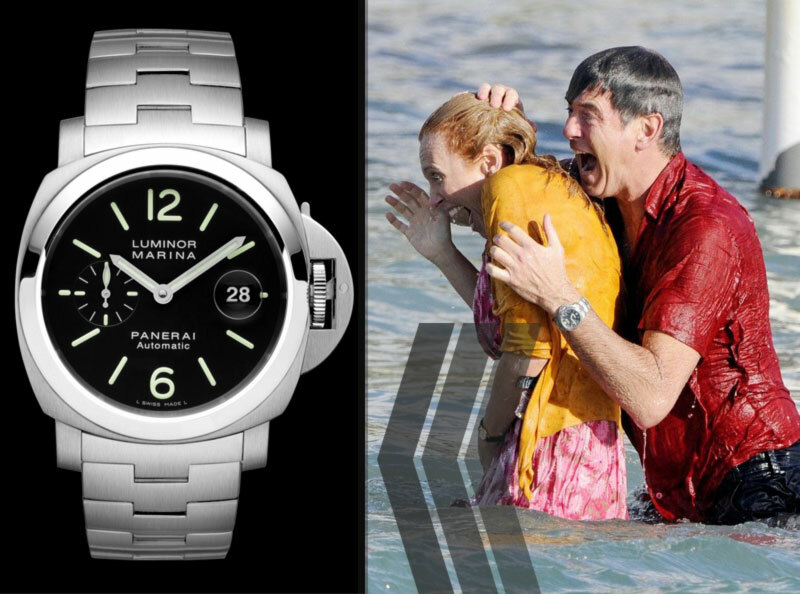 You’ll notice – if you’ll see the movie – that during the beach sequences, Pierce Brosnan’s character doesn’t wear the all-too slick and urban Jaeger LeCoultre but a sturdier timepiece from Panerai. 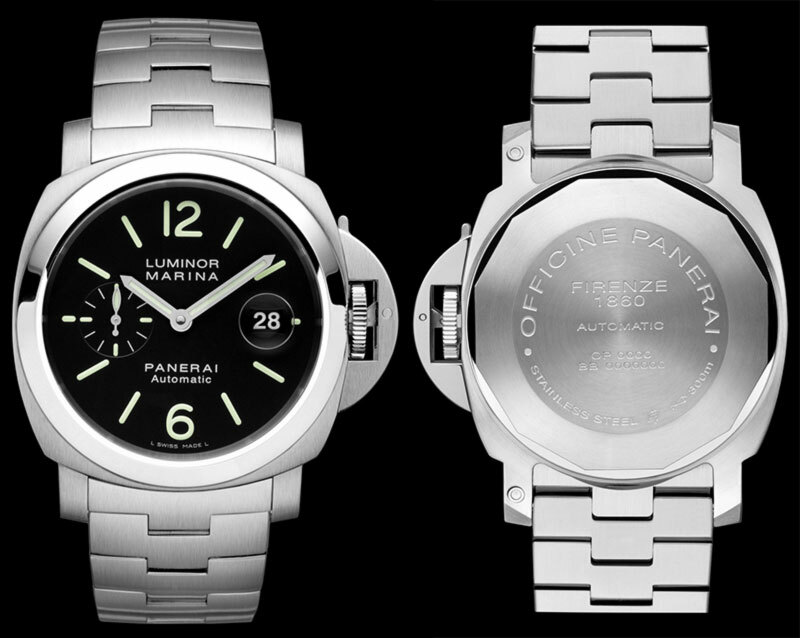 The steel bracelet watch called Panerai Luminor Marina and it’s water resistant (up to 30bar) and comes with a black dial and arms treated with superluminova for easy night vision. The watches Pierce Brosnan’s character is wearing in the movie seems to be the actor’s own as he was photographed on more than one occasion (and in several movies) wearing either the Jaeger LeCoultre or the Panerai. 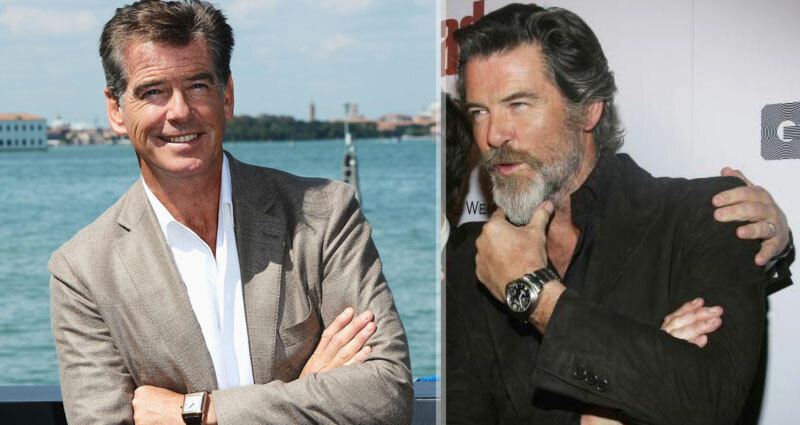 These are, obviously, Pierce Brosnan’s favorite timepieces, despite of his long-standing relationship with Omega (for and during his time as James Bond, from 1995 to 2004 during which period he played the legendary Spy 007 four times). Please note that although I chose to write about this movie, I tried to disclose as little as possible from the actual plot. We wanted to watch this movie because of the extraordinary chemistry between Imogen Poots and Aaron Paul, a perfect coupling we had the chance of seeing in Need For Speed (Aaron Paul is just about the same as always, it was Imogen who was my most pleasant acting surprise – an effervescent beauty, an honest entertaining joy I enjoy watching). 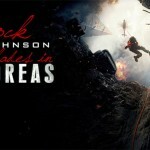 The images used in the making of this story were found on the brands respective websites, imdb and zimbio.